Since they were conceived to bring the Apple experience to the public 17 years ago , the retail stores of Apple have managed to become a place where we can not only buy new products or solve our doubts about them, but they are also a meeting place where everyone can find something interesting to do. This philosophy of community was further strengthened when Angela Ahrendts took over the division some years ago, after having directed the prestigious fashion firm Burberry. Each store, should be a place capable of integrating into the environment , as if it were a square. Although that means seeing more people circulating around the store than we would like to many. Today, the opening of a new store will be held in China, which will be located in the Macao region, being the second in the area. In addition to complying with the aspects mentioned above, it also has certain unique aspects in its architecture that really make it stand out from any other store , including those that the company has created over the years. From stone panels to bamboo details, the company has managed to create a space that follows the philosophy of making open and bright spaces where people want to be . 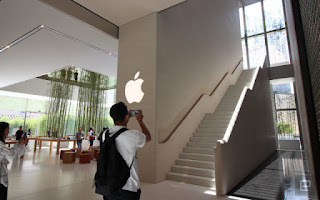 This place will bring together in one place those that have already become the pillars of Apple's Retail experience, such as Today at Apple, Genius Growth and the avenue, which will have some beautiful bamboo trees. 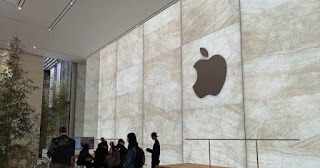 Thus, Apple together with Foster + Partners, responsible for the design of stores around the world, has created a new store in which everyone can experience the latest Apple products , as well as the activities that will be carried out from from today. Of course, it is a place worth visiting. And you, what do you think about the design of this store?